A recent research report from Futuresource Consulting suggests that the mobile games market will be worth $10 billion worldwide by 2014. According to Futuresource Lead Mobile Analyst Patrik Pfandler, paid gaming apps will account for more than 95 percent of total mobile gaming revenues by 2014. This number is in spite of free gaming apps. The report also suggests that smartphone property will increase by 50 percent to 270 million worldwide by the end of 2010. While most applications sales are related to Apple IOS devices, Futuresource said that sales of Android applications represent about 10 percent of the market. For some time now, rumors have been floating around that Sony was working on a concept for a mobile phone that also serves as a bona fide portable games console. Engadget now has pictures of a prototype for just such a device. According to the report, the PlayStation Phone will run Android, probably 3.0 (Gingerbread), and it sports "a 1GHz Qualcomm MSM8655 (a chip similar to the one found in the G2, but 200MHz faster), 512MB of RAM, 1GB of ROM, and the screen is in the range of 3.7 to 4.1 inches." The phone has "a long touchpad in the center which is apparently multitouch, and you can see in the photos that it's still bearing those familiar PlayStation shoulder buttons. For Sony buffs, you'll be interested to know that there's no Memory Stick slot here, but there is support for microSD cards." CT: Which would all be well and good if it was real. Futuresource Consulting forecasts smartphone growth, microtransactions will fuel rapid growth over the next four years. For gamers interested in the gaming landscape in the year 2014, the past couple of weeks have been productive. Last week, market research firm Screen Digest predicted streaming game services would slowly ramp up to become a $400 million industry by 2014. By that same year, Futuresource Consulting believes the mobile gaming market will have reached $10 billion, the firm said this week. IPhone gaming landscape looks fertile. According to Futuresource's report, Apple's App Store will continue to be a major player driving growth in the mobile gaming sector. In 2010, the firm expects App Store sales to hit $1.7 billion in global revenue, a figure it says accounts for 30 percent of the total market. As for the remainder, Futuresource found that 60 percent of games were downloaded through "network operator stores," while the remaining 10 percent came from other app stores, such as the Android market. \\ "There is no doubt that the paid application game leading the charge of games," Futuresource mobile analyst Patrick Pfandler said. "Our projections show applications based games will account for more than 95 percent of total mobile gaming revenue by the year 2014 -. What 'S, despite the abundance of free games apps out there"
Pfandler went on to note that apps gaming will continue to grow on the back of in-game payments as part of a free-to-play, microtransaction-based business model. "In the longer run, we're going to see ad-funded apps games start to gain more traction as well," he said. One other driving factor for mobile game growth is the increased adoption of smartphones. According to Futuresource, smartphone ownership is expected to grow by 50 percent this year, topping 270 million units worldwide. Professor Layton VS Gyakuten saiban -- the Japanese name for a new crossover 3DS game that features both Phoenix Wright and Professor Layton -- was revealed last night by Level-5 during a press conference in Tokyo. 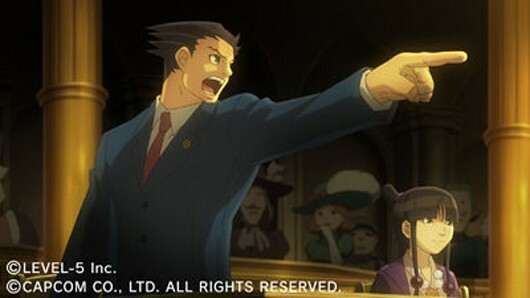 The game is being developed in collaboration with Capcom, though Ace Attorney creator Shu Takumi will be heading up writing. It appears that this marks the beginning of Level-5 and Capcom's much teased collaboration, and one of the four surprise titles Level-5 said it would reveal during its Vision 2010 event currently taking place in Japan. 1UP's liveblogDetails gameplay Professor Layton VS Gyakuten saiban as a "combination of puzzles and crime mystery," while Level-5 president Akihiro Hino characterizes the collaboration by comparing it to "two TV shows getting together and making a movie." The game's official website is scheduled to open officially on October 20, but Andriasang already has some images of the game and we've embedded a shaky cam video of the reveal trailer after the break, courtesy of 8-4's Mark MacDonald. Professor Layton meets Phoenix Wright in crossover 3DS game originally appeared on Joystiq on Tue, 19 Oct 2010 09:45:00 EST. Please see our terms for use of feeds. Developer Rovio's free model proves a success with Android users. 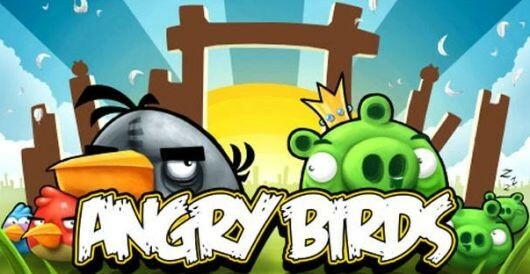 Finland developer Smartphone Games Angry Birdsannounced via Twitter, it has been downloaded more than 2 million times since it was launched on Googles mobile operating system Android, on October 15. To date, Angry BirdsIt is believed that sold nearly 7 million copies of apples IOS, where the name sells for $ 0.99/0.59. Android users must really, really hate those green pigs -- Rovio Mobile, developer of the iOS ?ber-hit Angry Birds, has tweeted that two million Android users have downloaded the app on that platform since it was releasedin just three short days ago. Application has reached 6.5 million sales of iPhone 'S App Store, but the version of Android is a free download with advertising support in the application. Free "Lite" version of the iPhone have seen 11 million downloads so far. Rovio reiterated that the paid version of the application (with ads removed) are still on the road, and his Twitter account also states that they 'work to support and QVGA support for other devices, Android, as well. Regardless of what they add in the future, two million downloads is a great way to start on any platform. Android users download Angry Birds two million times in three days originally appeared on Joystiq on Tue, 19 Oct 2010 01:00:00 EST. Please see our terms for use of feeds. IPhone Games Hit Angry Birds is now available for Android devices, and it's free, though supported by advertising. Future updates will be available that will allow users to fly to refuse ads. \\ "Why Angry Birds free on Android? We want to make Angry Birds to as many people as possible", explains a press release, the developer Rovio. 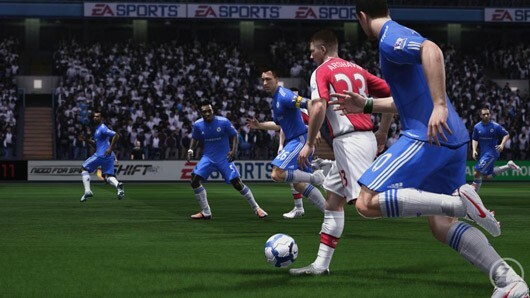 Besting FIFA 10 \\ 'S achievement last year, FIFA 11 has now become the "fastest selling sports game ever," according to EA. The publisher's internal estimates project the latest entry in the footie franchise has sold 2.6 million copies across Europe and North America since last week's launch. EA estimates that FIFA 11 has grossed more than $150 million at retail so far, with "sell through" determined to be up 29 percent over last year's iteration. The publisher wouldn't break down regional numbers when we asked, but we did learn earlier this week from Chart-Track's UK retail charts that FIFA 11 had the third largest "combined format" debut of any game ever. EA: FIFA 11 beats FIFA 10 to become 'fastest selling sports game ever' originally appeared on Joystiq on Tue, 05 Oct 2010 23:15:00 EST. Please see our terms for use of feeds. Dash Text: To combat second hand sales of used munitions among greedy, haggling treasure hunters on Pandora, the Hyperion Corporation have decided to activate the Interplanetary Ninja Assassin Claptrap. Instead, it has organized all of the claptraps into a revolution, and they've been assimilating all life on Pandora and converting them into claptraps. With our heroes caught in the middle, they must stop the Interplanetary Ninja Assassin Claptrap in order to release his control over all of Pandora's claptraps and collect their reward, of course. CrunchGear got a little advice in advance from Panasonic, the company plans to launch a new portable gaming device called a "Jungle Handheld" as part of its new cloud Panasonic Entertainment (which they obviously are unhappy, as the reduction PCENT) business. From the first few bits of information and a brief trailer now online Jungle , the new folding device looks like a cross between a smartphone and a Netbook put in a ruggedized case. Wondering where that Mad Max game had got to? It may have gone to Sweden, to guys who specialise in large worlds and explosions. More ? eldavojohn writes "As one of the creators of Mega Man, Keiji Inafune remembers the days when Japan redefined video games. He believes those days are long gone as he reveals much in his criticisms of Japan's ailing game economy. Inafune says Japan is five years behind  still making games for older consoles with 'no diversity, no originality.' When asked why, he responds, 'A lot of designers, if they find a genre that works for them, they stick with it. A lot of designers just stick to a set formula. That doesn't work any more. You can't just tweak the graphics, work just on image quality. You can't compete on that. The business side is not keeping up with investment. You need to be prepared to invest 4 billion yen or more on a game, and then spend 2 billion yen more to promote it. But Japanese companies can't do that. So we're losing out to the West in terms of investment in games. It's a vicious cycle, a deflationary spiral. Because you don't invest, you can't sell games, and because you don't sell games, you can't invest.' He compares making games for Japan and the US to Sushi and basketball  two popular things but each done in distinctly different ways by the two nations."